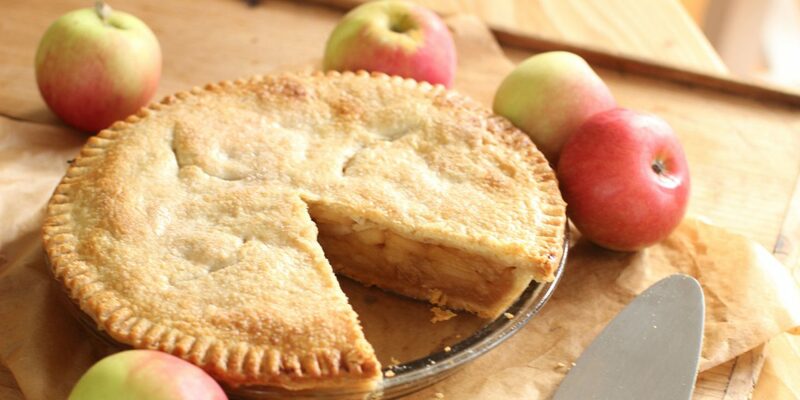 Want to make the perfect, most scrumptious apple pie every time? A pie your family and friends will swoon over every time you bake one? The secret is to use the right apples! See, not all apples are created equal. Check out this video to learn about which apples to use and which to avoid. Then keep reading for more great tips and resources to make award-winning apple pies. As you can see from the video, there are six (6) main apple varieties you should consider first. One key tip is to COMBINE two different varieties of apples. For a pleasing balanced flavor, pair a sweet apple with a more tart apple. My favorite combo has me peeling and cutting Golden Delicious (sweet) with Granny Smith (tart). Of course, your own personal preference plays a huge part in this, so by all means experiment until you find the apples and pairings that YOU like! Don’t limit yourself to the apples you find in the grocery store. Be sure to visit any apple orchards in your area where you can pick your own or buy freshly-picked in buckets or bags. Also visit farmers’ markets for those hard-to-get varieties. Buy as many different types of firm apples as you can. Then slice ’em and mix ’em all up for your pie filling! And what about other tasty treats you make with apples? Using the right apples is important there as well for them to come out right! The Farmer’s Almanac has an excellent resource here you should check out. Save time and effort when you’re peeling all those apples for all those apple pies you’re going to make! Sure, a good ol’ hand peeler can get the job done, but peel enough apples and you’ll wish you had a better, faster, and easier way. Check out this set of apple peelers. Once the apple is firmly in place on the prong, all you need to do is turn the handle and your apple will be peeled, cored and sliced within a matter of seconds! NICE! And these amazing tools don’t just peel apples, they core them and slice them too! Talk about time savings! Pie Plates For Baking MORE Apple Pies! You can never have too many pie baking dishes! The more pie plates, the more pies you can make! My recommendation- a glass pie dish is best. But know that size does matter. Don’t be fooled into thinking because other glass dishes are a little bigger or a little deeper that you are going to miss out on any pie. Most don’t notice. This classic nine inch pie dish fits a classic nine inch pie crust recipe. That alone makes the handling of the dough much easier. Nothing like it, especially in fall and winter. Around the holidays. When gathering any time with family and friends. Apple pie is the perfect comfort food. Delightful with coffee, tea, a cold glass of milk. 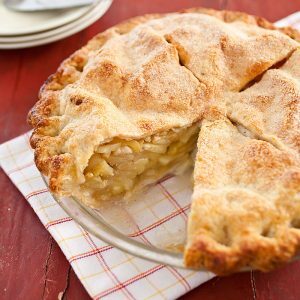 A nice slice of delicious apple pie is one of life’s little pleasures that makes life a little easier! Not sure exactly how to make an apple pie? 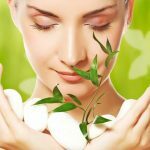 Find 30 great recipes at Country Living here! 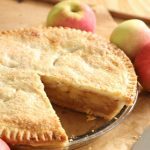 Tons of Pie Making Ideas and Recipes! There’s so much you can do with apples and pie dough! Not to mention the countless other types of pies and apple-related (and other fruits too!) desserts you can whip up. Here’s an excellent selection of pie baking cookbooks filled with mouth-watering recipes that will keep you busy through fall and winter!